Like a normal electric fence, a solar-powered electric fence can be used to protect livestock, pets, or land from wildlife and pests. 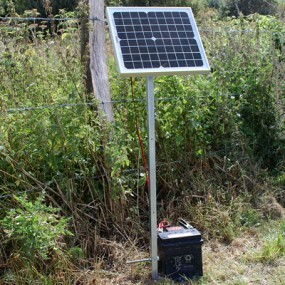 However, unlike normal electric lines or battery-powered fences, a solar electric fence charger use a small solar photovoltaic (PV) panel to collect and convert sunlight into energy, which is then stored in the battery so that it can charge the fence. When an animal or human being comes into contact with the electric Fence, they receive a sharp, short, painful but safe electric shock. The shock does not cause any physical damage. The electric fence acts as a strong psychological barrier as any intruder avoid coming into contact with the electric Fence once they experience the shock. After a period of conditioning, the mere presence of the fence acts as an effective barrier even if it is not powered ‘ON’. 1. Energizer: Most important part of the system. Takes input from DC battery. Choose proper voltage energizer. 2. Earthing (Grounding System): The earth or ground system must be perfect to enable the pulse to complete its circuit and give the animal an effective shock. Soil is not a good conductor so the electrons spread out and travel over a wide area, inclining towards moist mineral soils. 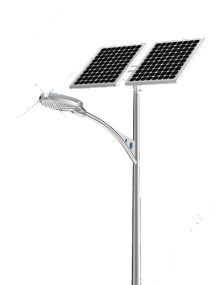 The Solar module generates the DC energy and charges the Battery. The output of the battery is connected to Energizer or Controller or Charger or Fencer. The energizer will produce a short, high voltage pulse at regular rate of one pulse per second. The live wire of the energizer is connected to the fence wire and the earth terminal to the Earth system. Animal / Intruder touching the live wire creates a path for the current through its body to the ground and back to the energizer via the earth system and completes the circuit. The Energizer has to be set up with its earth terminal coupled to an adequate earthing or grounding system. The live terminal is coupled to the live insulated wires of the fence. Energizer will send an electric current along an insulated steel wire The shock felt is a combination of fence voltage and pulses time or energy. The higher the *joule rating of the energizer the greater the shock and the greater the fence performance. Remember whether it is solar fencing or electrical fencing, proper earthing/grounding is the most important part. 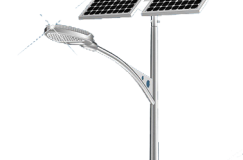 Wiptech is a leading Solar Fence Energizer manufacturer and supplier in Gujarat, India. Our ‘Surksha’ brand solar fence energizer and great products and friends of the farmers. In India, still remote village area has electicity problems. So, electric fence would be costly and non-effective in farms. So, a solar fencing would be viable option. We protect your crops and livestock from wild animals. To know more about our Solar Fence Energizer contact our executive in given numbers on the wiptech.co.in website.